Eligibility – To be selected for the Acura Certified Pre-Owned Program, a used Acura model must be under 6 years old and have less than 80,000 miles, ensuring strong reliability and modern features. Acura Certified Pre-Owned Warranty – All cars in the Acura CPO program include a 12-month/12,000-mile limited warranty. Any necessary repairs are made without a deductible. Inspection – A qualified service professional undertakes a 182-point inspection that checks everything from the windshield wipers to door locks. Vehicles like the Acura MDX or the Acura RDX certified pre-owned SUV are held to the highest standards. Roadside Assistance – If your Acura CPO model has a flat tire, runs out of fuel, or has any other issue, we’re happy to help. Simply call the Acura Roadside Assistance number at 773-830-3434. In addition, our selection of pre-owned specials includes both used models as well as Acura CPO models. 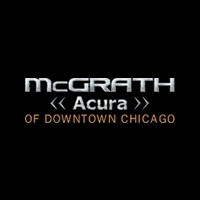 Consult this Acura Certified Pre-Owned video to learn more about the program, or contact us at 773-830-3434 with any questions, such as if you can lease a CPO Acura. We can even assist you with finding local attractions like Chicago area golf courses.